Follow the areas in the order proposed below for our recommended approach. 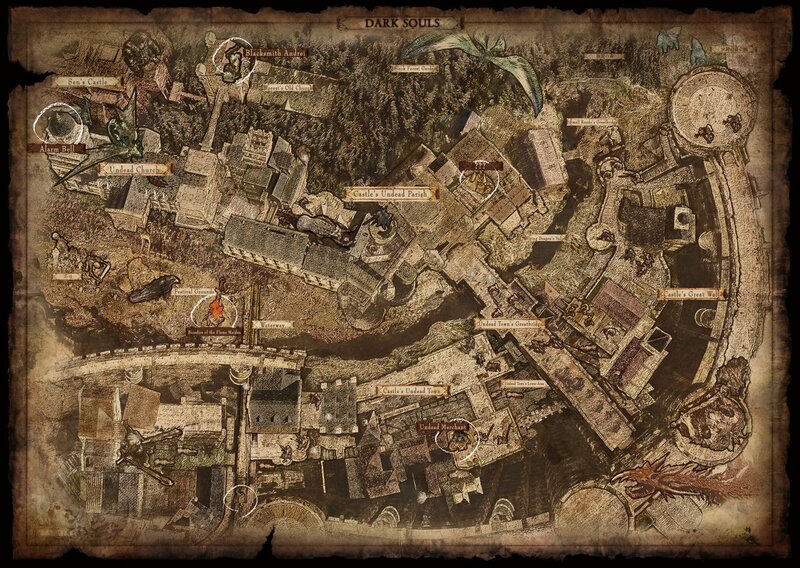 Note: The DLC areas are all optional, and can be accessed after obtaining the Lordvessel. Bonfires are littered around almost all areas of Lordran and are a place where you can rest and level up by offering souls. The last one you rest at will also act as a re-spawn point upon your inevitable death. To rest at a bonfire, simply walk over to one and press X (on PS3) or A (on Xbox 360). Resting at a bonfire fills your Estus Flask and recharges your spells, however it will also re-spawn enemies into the world. 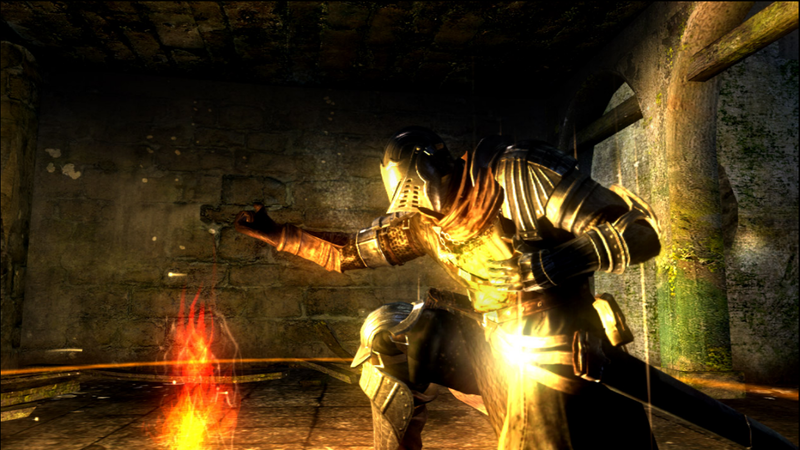 A players can also offer up humanity to Kindle (strengthen) the fire, which increases the amount of Estus sips that fire will fill your flask with. This strengthening carries to all subsequent play-throughs. Bonfires are safe areas, but only regarding PvE. There are no safe areas with respect to PvP - as long as you are playing online and in human form you can be invaded by other players at any point. So don't be too surprised if you find that your character suddenly gets up from a bonfire, even if you are in the middle of doing something in the menus. At this point you will see the fire go out, meaning you cannot rest at it for the moment, and a few moments later you get the message that you are being invaded. Once you defeat your invader(s) you will be able to rest at the bonfire again. Once you acquire the Lordvessel you gain the ability to warp to certain bonfires, warping can be initiated from any bonfire, except the bonfire in the prison area of The Duke's Archives and the bonfire in the Painted World of Ariamis. You must light the bonfire in order for the destination to be available for warping. note: You may have to revisit some of the new available bonfires, if you discovered them before patch 1.06, or they will not work. 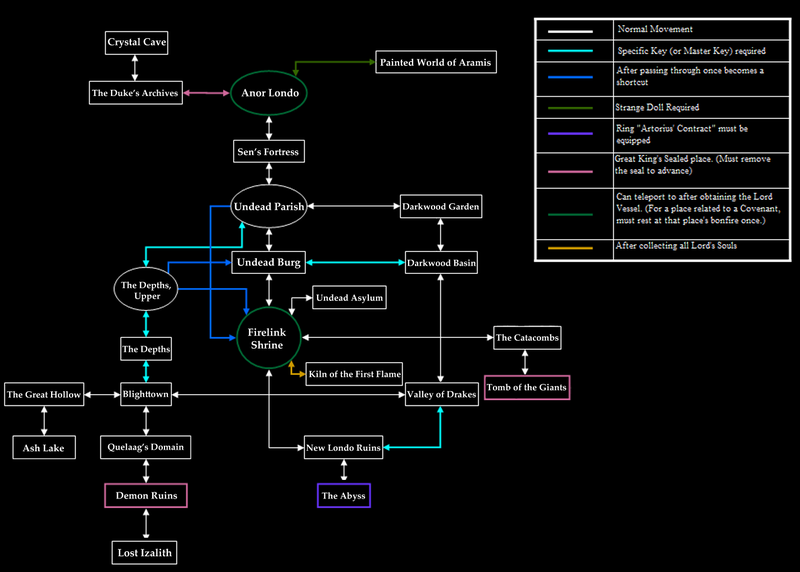 Note: Map is set for standalone content and does not reflect the DLC/Expansion areas and the subsequent new Lordvessel warps.